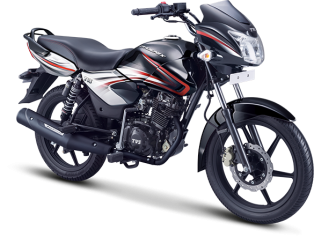 The updated 2015 Phoenix 125 is equipped with 125cc 4-stroke engine with Ecothrust technology for better fuel economy and smooth power delivery. The new Phoenix is loaded with lots of features like all digital meter console, tubeless tyres, gas charged shock-ups and Vehicle locator key. Suspension Rear Twin, 5 step adjustable monotube inverted gas filled canister. 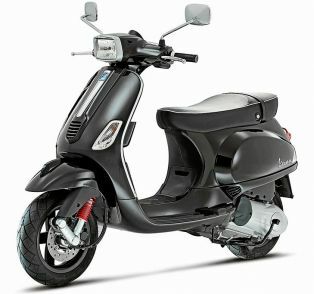 TVS has silently launched the updated version of its 125cc premium executive class Phoenix. 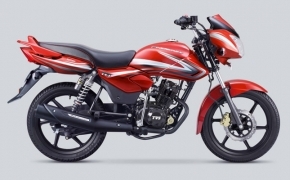 When TVS launched the Phoenix 125 back in 2012 it carried features which was seen on bigger bikes like fully digital console, 240mm roto-petal disc brakes, tubeless tyres and it had 125cc Eco- Thrust Engine, which is very capable and frugal engine but TVS decided to update the bike in 2015 so lets see what the bike has got?